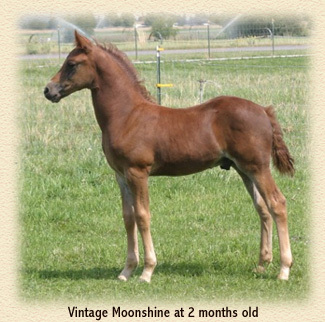 As a result of raising a few foals each year, I usually have young stock for sale. them all. I guess that's good since I wouldn't want to raise and sell horses I didn't like! The horse/owner partnership is just that, a partnership. The partners need to be compatible. I make a serious effort to evaluate each of my horses as individuals, identifying their strengths and potential for various activities. I then hope to identify the needs of potential buyers with the hope of making a good match. 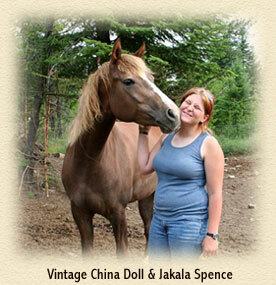 Photos are by Jakala Spence. gets along well with other horses. canter. Calm yet will go all day for you. 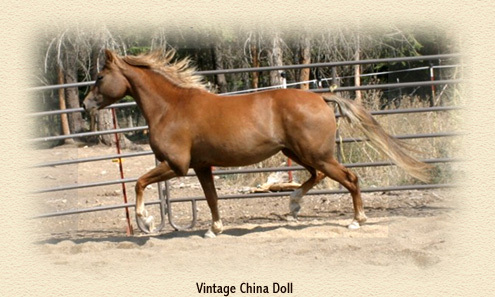 breeding and all western ranch lines. built, well muscled, with lots of bone and she passes these traits on to her foals. 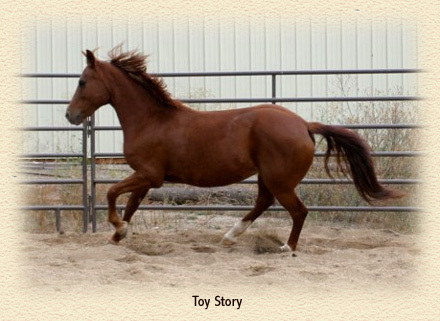 Get the best of both worlds, a great riding horse and a proven broodmare in one package. ethic. Very athletic, powerful yet graceful. show that he thinks he's special. she is calm and yet very responsive. in 2008. 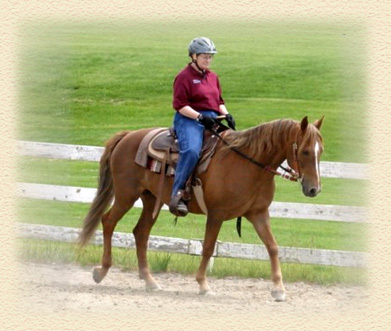 She is being started under saddle. Exquisitely bred, GRANDDAUGHTER of Sparfield, Triple S Red Major and Tia Margarita. Her dam is a full sister to Montana Harvest. Best of the best foundation bloodlines. 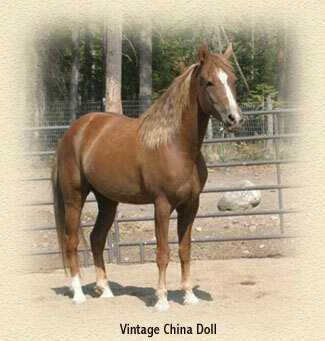 She has had three foals and is easy to breed and a great mother. that I am retaining, so I reluctantly offer this mare for sale. All photos, text and graphics © 2006 Vintage Morgans, Nora Boman. All rights reserved.